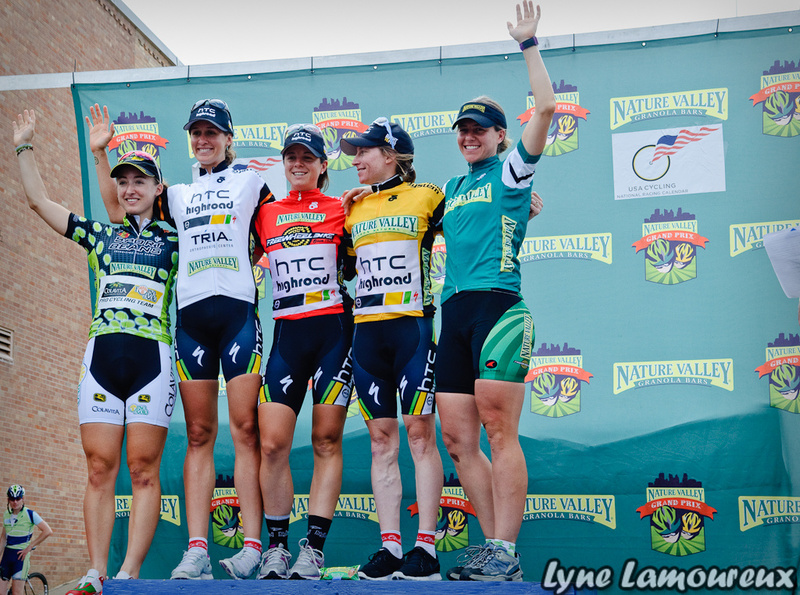 Leah Kirchmann: Nature Valley Grand Prix- what a week! Nature Valley Grand Prix- what a week! 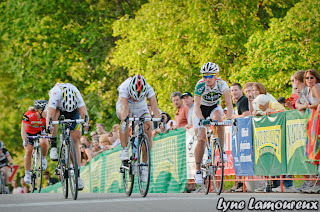 The 2011 Nature Valley Grand Prix was last week down in Minneapolis, MN. 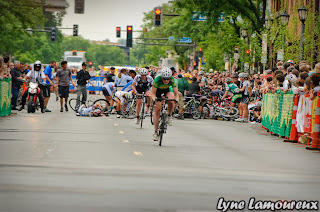 I was very excited going into it.. a stage race with three crits, that’s my kind of race! Our roster for the week included Italians, Giorgia Bronzini (current world champion!) and Barbara, and Cath, Rushlee, Janel, Heather, Theresa from the North American squad. Good: Rushlee earned the best young riders jersey in the stage 1 time trial! Not too bad: It was a very rainy, slightly miserable time trial. Good: Bronzini won Stage 2 criterium from a bunch sprint! 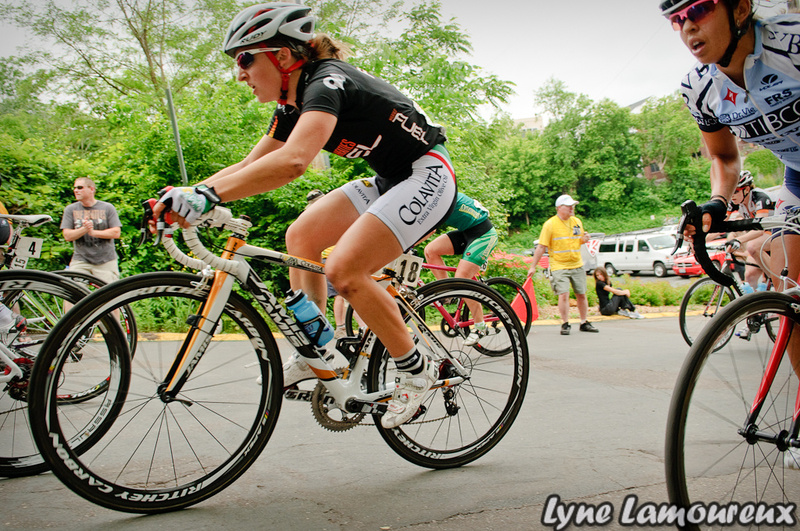 Good: Bronzini took the bunch sprint to win the Stage 3 road race, and Theresa finished 3rd! 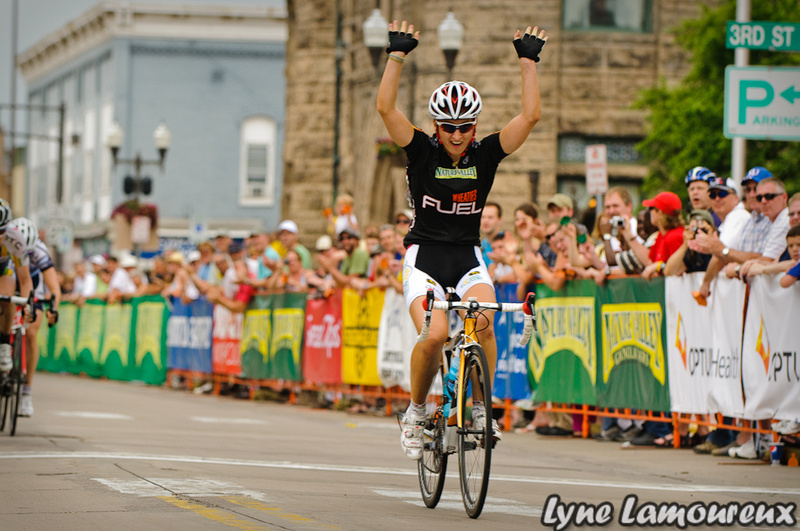 Good: She still started the stage 4 crit the next day. 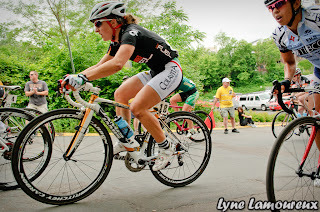 Bike racers are seriously some of the toughest people I know! Bad: The crit involved a crash with 39 riders on the last lap.. I was involved with that, but came out relatively unscathed. The stage was neutralized. Good: I was in a break of seven riders for the majority of the stage 5, 81-mile road race, staying away to the end. I won the breakaway sprint and accumulated enough sprint and climbing points, and time through out the race to take the Queen of the Mountain, Sprint and Young riders jersey, and move into third in GC... cool, never done that before! Not too bad: The final stage at Stillwater featured a very steep, 21% climb that did not treat me too well after the previous day's effort. Despite strong efforts by my team-mates, I missed making the front group and dropped to 10th overall in GC and lost the young riders jersey (still happy with my finish though!). Good: Bronzini did make the select front group of 12 riders, and won the stage! 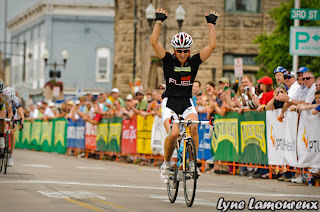 I also had enough points to hold onto the QOM and Sprint jerseys! 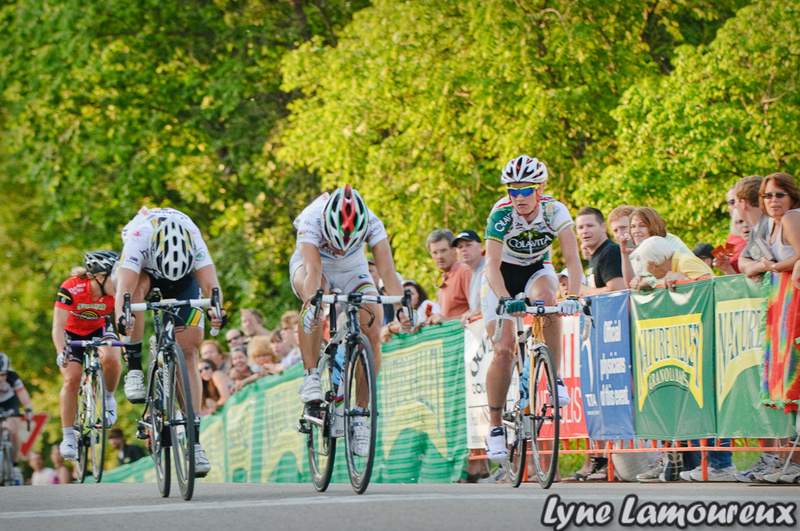 Overall, it was quite the eventful week of racing for the Colavita team. 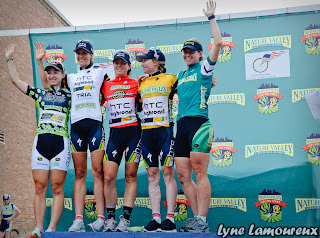 We finished with 4 out of 5 stage wins and two jerseys, pretty good! There was a seriously impressive display of team-work through out the whole week of racing. I wish a very speedy recovery to my injured teammates! Hey Leah, it's just awesome to see how great you're doing. We're all very proud back in Winnipeg. Keep it up! We, your dad, Oma and Opa followed you around all 6 stages cheering you on. What an excellent performance by you and the whole team. Were impressed by the race organization, the Americans know how to put on an event of this magnitude. Good memories, you're our "Rising Star."